Ah Sunday. 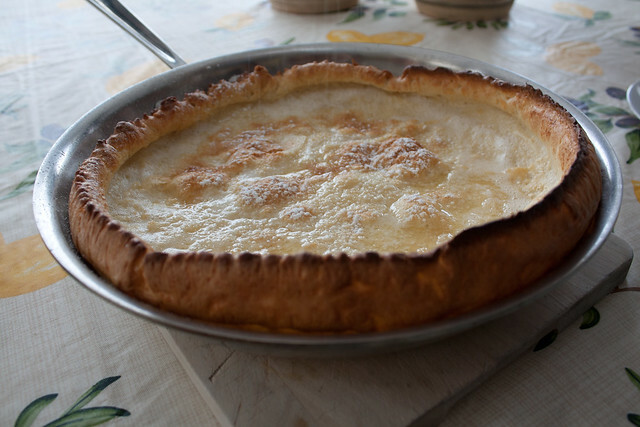 A time to relax, kick back and and enjoy a nice breakfast like this Dutch Baby from America’s Test Kitchen. It’s so simple to make and yet so delightful. It’s light, airy and crispy — sort of a hybrid between pancake and waffle with a custardy centre. Adjust oven rack to middle position and heat oven to 450 degrees. 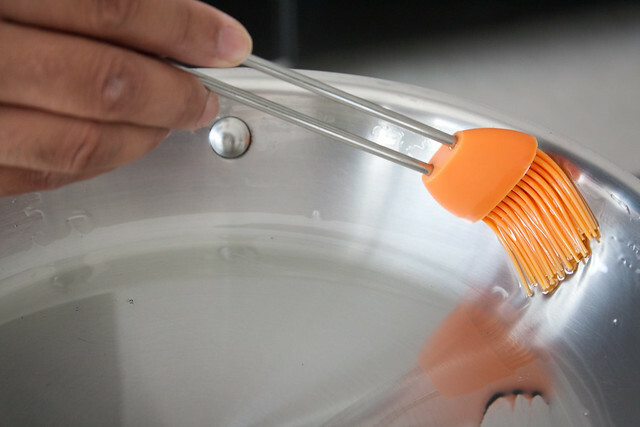 Brush surface and sides of large skillet with oil. Place skillet on oven rack and heat until oil is shimmering, about 10 minutes. 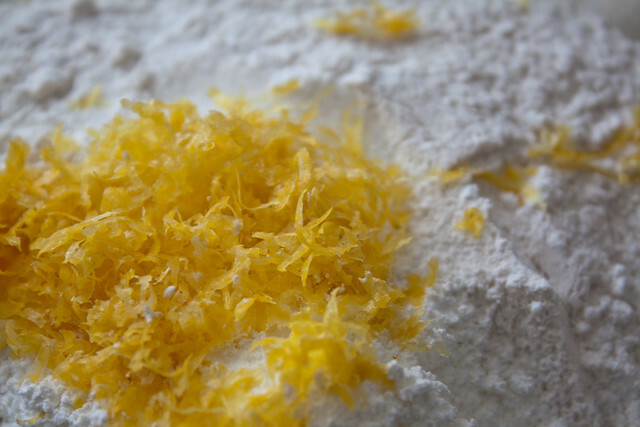 Meanwhile, combine flour, cornstarch, lemon zest, and salt in large bowl. 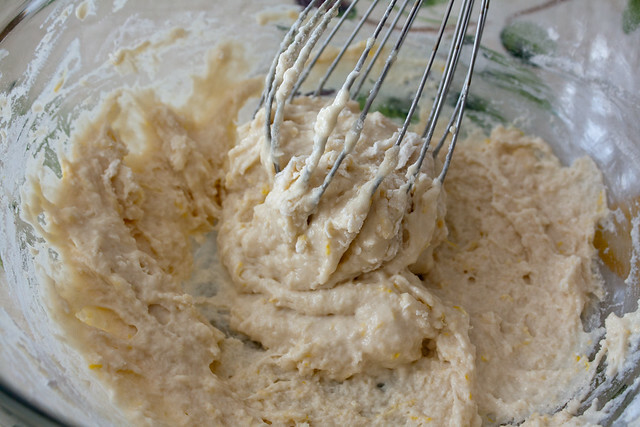 Whisk eggs in another bowl until frothy and light, about 1 minute. 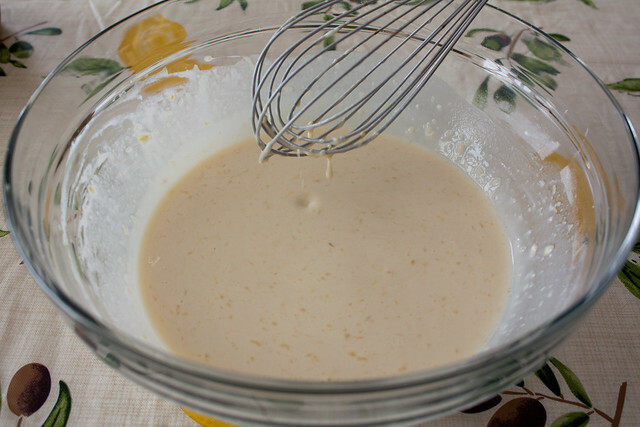 Whisk milk, butter, and vanilla into eggs until incorporated. 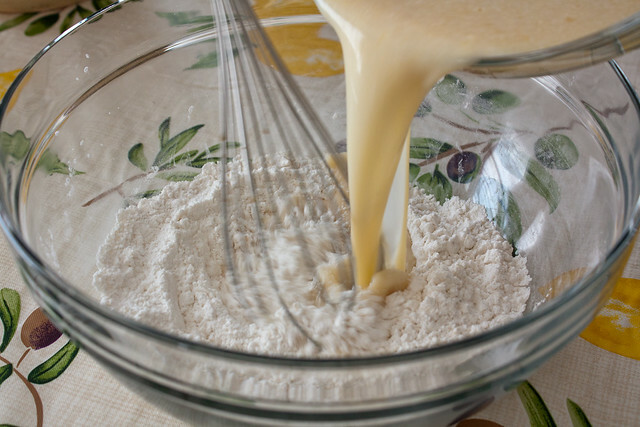 Whisk one-third of milk mixture into flour mixture until no lumps remain, then slowly whisk in remaining milk mixture until smooth. 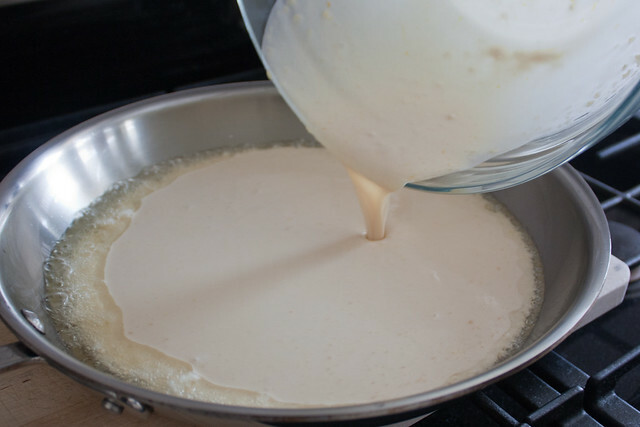 Carefully pour batter into heated skillet and bake until the edges are deep golden brown and crisp, about 20 minutes. 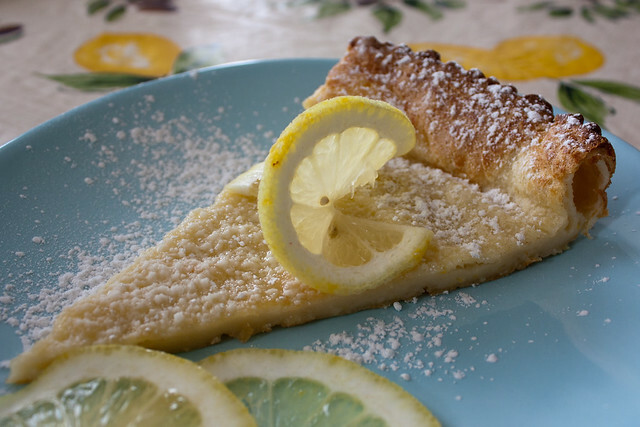 Transfer skillet to wire rack and sprinkle Dutch Baby with lemon juice and confectioners’ sugar. Cut into wedges and serve. 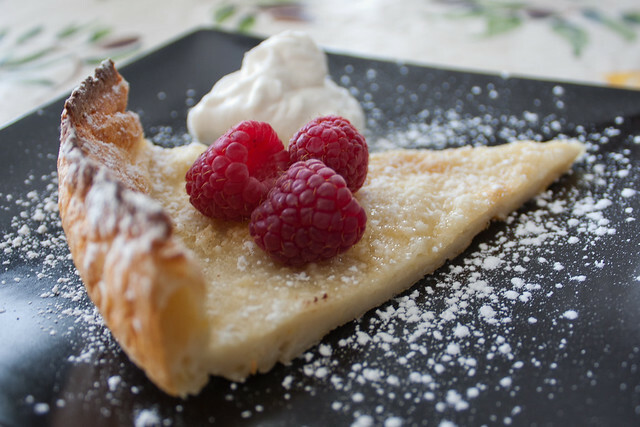 You can also serve it with an assortment of berries and lightly sweetened whipped cream. 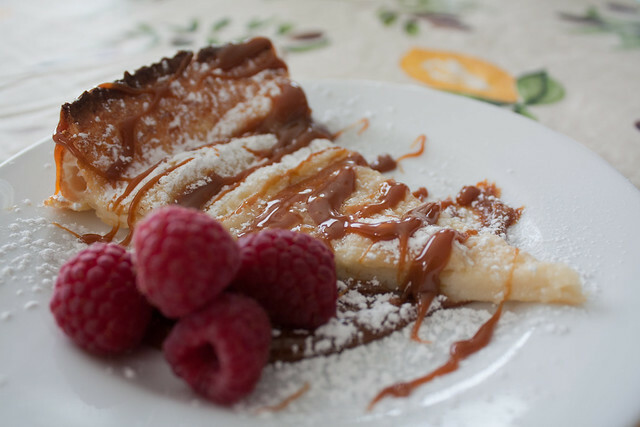 But of course, my favourite is this one drizzled with lots of dulce de leche. So, what are you going to have for breakfast next Sunday? 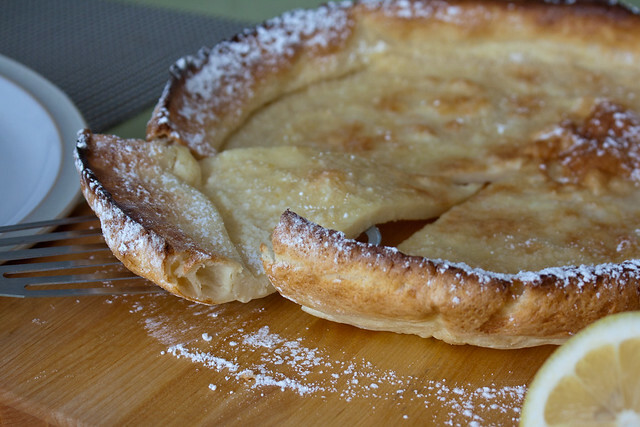 This entry was posted in Food & Drink and tagged breakfast, Dutch baby, popover. Bookmark the permalink. Post a comment or leave a trackback: Trackback URL.